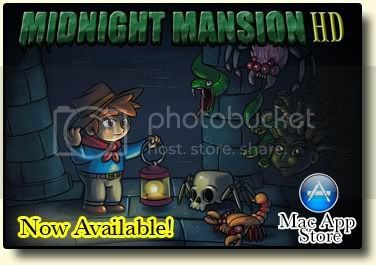 On behalf of the Midnight Mansion Forums administrators, I like to welcome you on our boards. As you will notice, although you have registered now, it seems to be impossible to put a post on any of the forums. There is a sad reason for that. Experience learned us that weird people were putting posts on our forum which had nothing to do with our MM-game. And we really want to keep it family-friendly. It is a game for old and ... young! When you like to start a new topic or want to reply on any post you saw on the boards, the first time you need to send an e-mail or a personal message (PM) to one of the administrators. The administrators are Anthony, Rob Seegel and Semi-Native. Please click on their names to send your message to one of them. After receiving your message, the administrator will upgrade you from Newbie to Lost One. As soon as you got promoted, you will receive a message back that you have the permission to start posting. Please allow few days for the administrtors to reply. The administrators will notify the users if one of them (or all) are absent. Click here to find out.